For the girly-girl inside of you, there is always love for glitter, sequins and silk. What better way to embrace that feminine side with an embroidered silk wristlet? 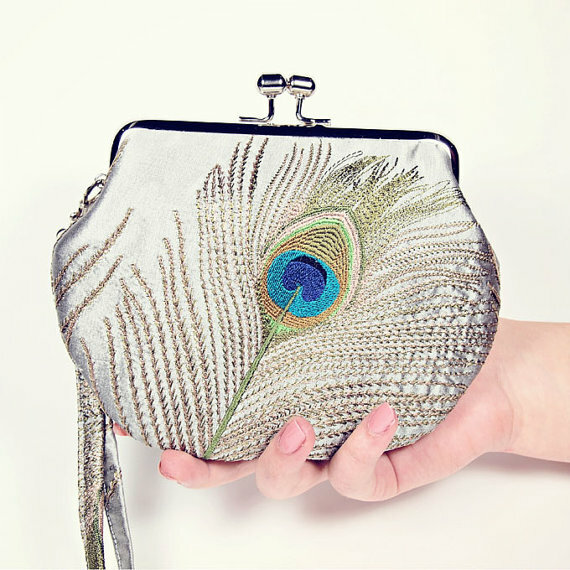 Dainty, but nowhere near modest, this wristlet features an awesome peacock motif that is bold and elegant! 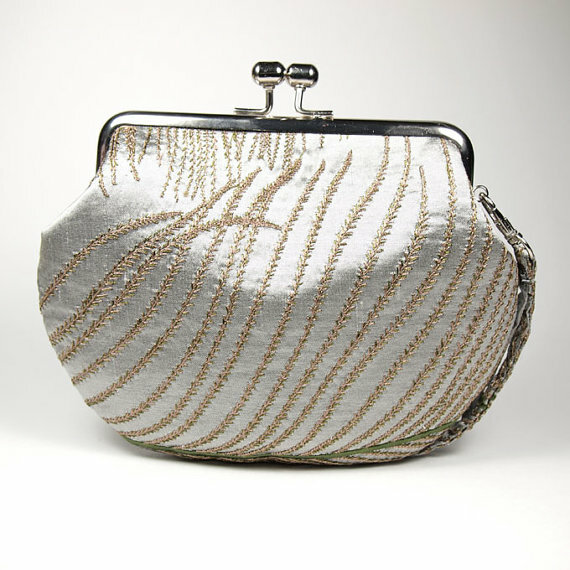 This little clutch/wristlet is ideal for adding a splash of grandeur on a small scale and some sparkle. Amazing stitching of a beautiful peacock feather! 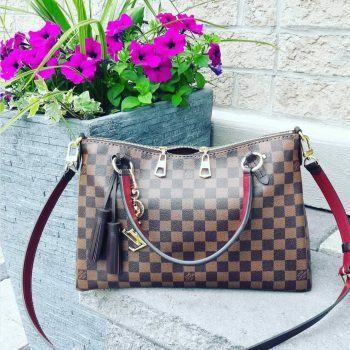 While a tote or a hobo bag can be your go to for your daily life in the hustle and bustle, every girl needs a polished petite purse for those special nights. And this wristlet is the cutest one you could get! It is made out of a shiny white dupion silk with an intricate peacock feather embroidered on the front and the back. The fabric is glossy and opulent and pairs perfectly with the silver hardware. The peacock embellishment is pristine stitching of a classic peacock feather; across the entire back of the clutch and on most of the front is a tannish/gold fabric that makes up the outer feather. Then in the center of the front of the purse is the center of the feather, accenting the blues and greens of a real peacock feather. This is the most handsome replication of a peacock feather you’ll find! Petite and dainty, with stitching embellishment on the front and the back! 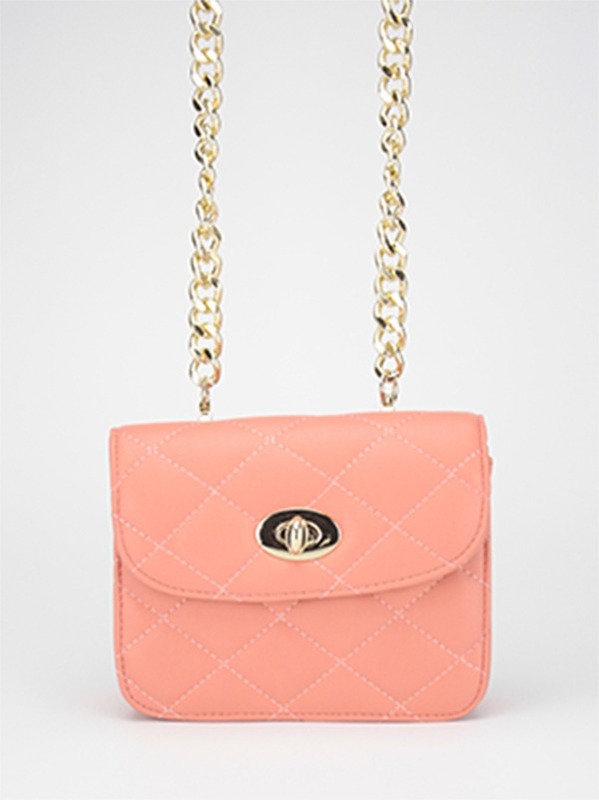 Keeping with the dainty feel of this purse is its charming small size. 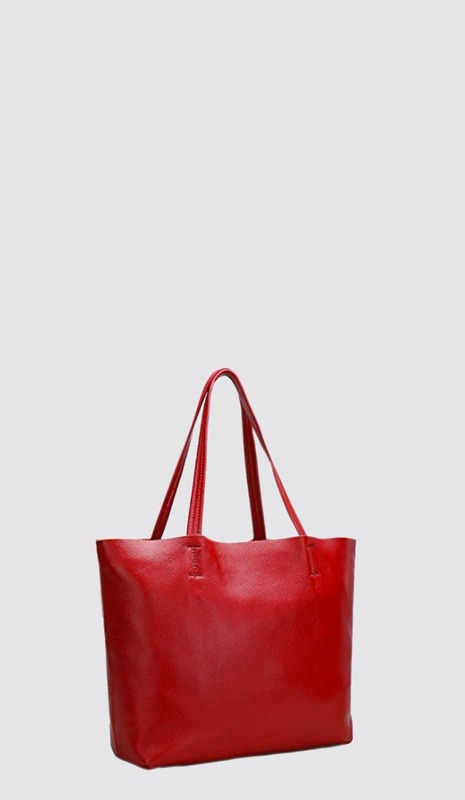 Just 6.6 inches tall and a maximum of 7.4 inches wide, this is meant to be a bag for just the necessities for the night. It has a rounded construction that fits perfectly in your hand and flaunts a silver kiss lock frame to top it off. The kiss lock clasp is classy and adds even more exclusivity, as if the peacock feather wasn’t enough. 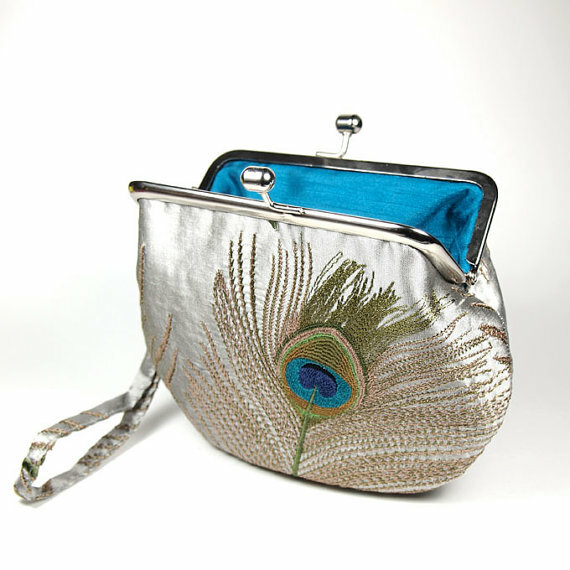 While the outside of this wristlet is authentic silk, the inside is lined with faux silk that maintains the luxurious feel of the bag and is in a perfect blue to match the center of the peacock feather. Matching blue lining to accent the peacock colors! To add versatility to loveliness, there is a detachable wrist strap composed of the same dupion silk and featuring the gold stitching of the peacock feather. 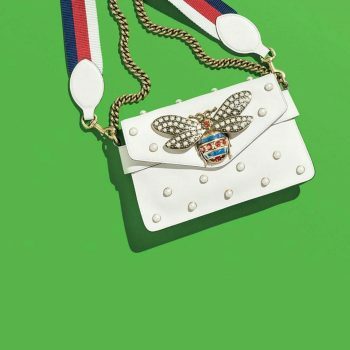 The strap has a silver clasp that attached to a small loop on the side of the purse to transform it from a traditional clutch to a manageable wristlet. 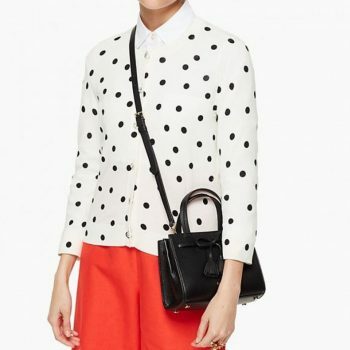 This purse is ready for any night out on the town! Kiss lock frame that makes this purse sparkle and shine! When you need to downsize to a clutch or a wristlet, you want to make sure that you do it in style! 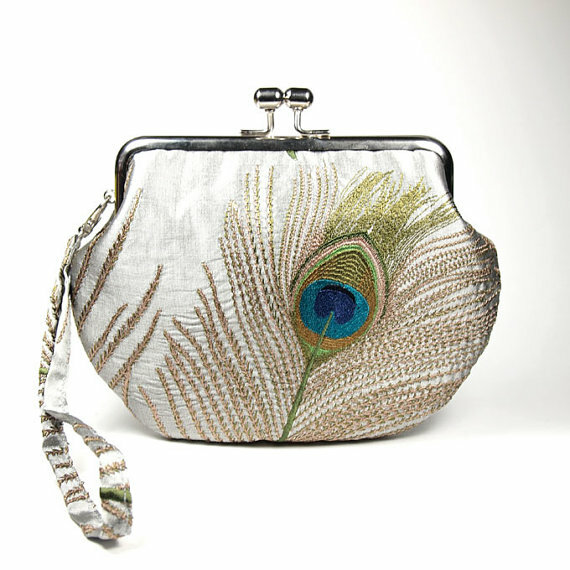 And for your effeminate side this silk peacock wristlet is divine! Petite and polished, you will feel like the belle of the ball every time you wear it! Dupion silk in an elegant pearly white is fit for a queen…or a princess! 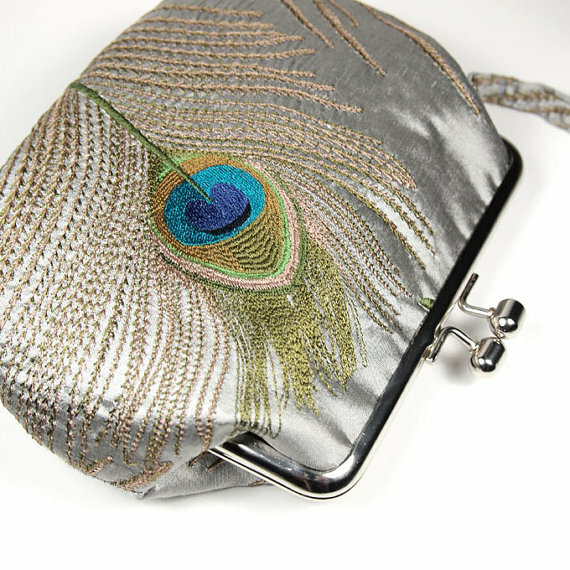 ElevenRoosters has a collection of stitching embellished clutches.